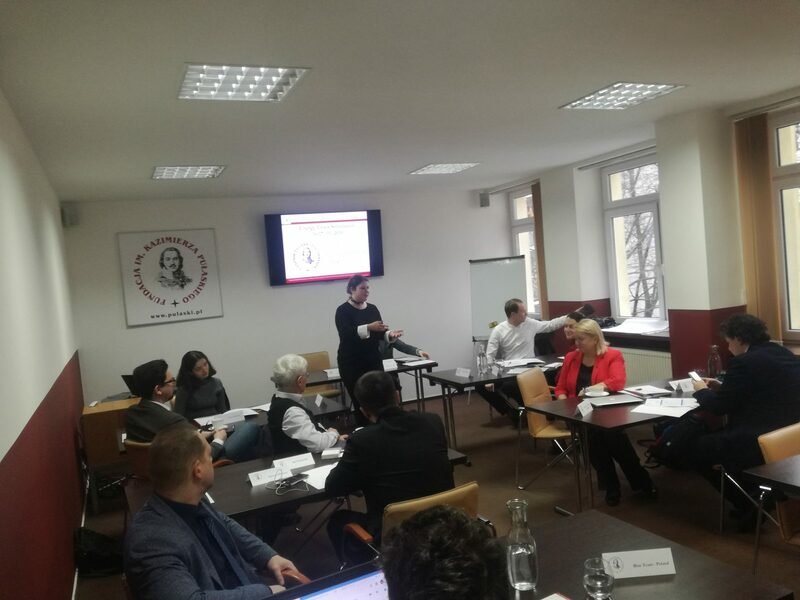 On January 16-17, 2019, the Casimir Pulaski Foundation organised a simulation entitled “Energy Crisis Management Simulation”, focusing on the state level energy sector crisis management. 15 participants (from the Czech Republic, Poland, Slovakia, Hungary and Ukraine) took part in this project, which is being carried out in cooperation with the International Visegrad Fund. Participants were divided into five teams representing individual countries. Each country had its own goals and national interests that had to be realised. Interests of different states were not known to other participants. The purpose of this simulation was to reach an agreement within an energy crisis, that would be acceptable to all parties. Before starting the simulation, the participants presented the results of their own analyses concerning energy policy, as well as the methods of its creation and implementation by relevant entities in their countries. They also pointed to challenges and recommendations of selected institutions involved in the development of energy policy. Visegrad Grants Program of the International Visegrad Fund financially supports projects that develop cooperation between countries belonging to the Visegrad Group and Ukraine. The Fund aims to support the cooperation of countries forming the Visegrad Group (Czech Republic, Hungary, Poland and Slovakia), with emphasis on four aspects, such as innovation, regional dimension, youth and sustainable development.